I just caught the tail end of a show on the Discovery Channel about extreme solar activity. There are many reasons to generate your own electricity and get off the grid including the high cost of electricity and fossil fuels, the short supply of fossil fuels, terrorism, natural disasters like hurricanes, tornados, floods, ice storms, and snow storms. To be honest with you, I never even thought about solar activity causing a blackout. 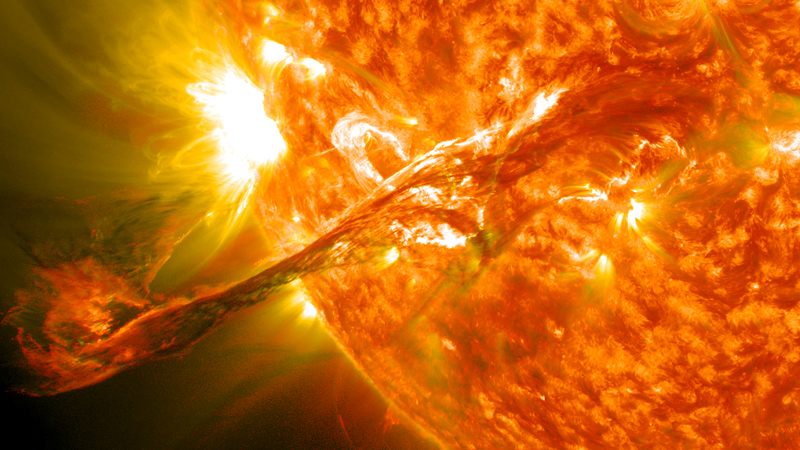 Solar flares so big that they cause problems with the electrical grid. But it has happened before... In March 1989 a solar electric storm caused an electrical blackout in Quebec, affecting several million people, it also affected spacecraft. In May 1998 communication with the Galaxy Four satellite was lost, affecting 90% of the pager and cell phone networks in the USA. A year or so ago, we lost a big transformer here in Phoenix AZ. We were lucky to find a spare to replace it. I am not sure that you are correct that there is only one transformer manufacturer left, but you are correct that they don't have spares. You have left out one factor that will be a major factor if we lose significant power in the southwest in the summer time. That is the political,economic, system will require that martial law be called almost immediately. There are millions of people in the southwest desert that are not in a sustainable enviroment without electricity. The population that can be supported here without electricity is minimal. Do you think my neighbor is going to stand idly by while I am doing my enviromental thing? How long is it going to take me to convert to a sustainable existance, and where am I going to get the materials? I know of a few wealthy individuals who have built sustainable ranches in the boondocks. It took years and a goodly amount of money PLUS the rest of the economy was humming along with lots of electricity. The politicians don't even want to think about the consequences of losing electricity over a large area for a protracted period of time. Each generation of solid state devices becomes more suceptible to Solar Flares. (at least that is what I have been told). I think we are in a "wish in one hand, crap in the other hand and see which one fills up first" situation. Thanks for the News Letter. I don't know if this is the right way or the right person, I am totally new to this site. I have been aware and concerned about the situation for quite some time, but not quite clever enough to put the information into a workable shape. My lifetime hobby is Ham Radio, and I have been involved in Code transmission to a high standard. Solar activity roughly, follows an eleven year cycle pattern, we are at the exact bottom of this cycle now, and sunspots are so rare that for some months we just didn't have any at all, the graph starts to rise rapidly to a peak at about 2011 with very high levels of magnetic disturbance. Some trains of thought say it will rise even faster(late 2009) but the concerning thing about this is that some scientist who specialize in this field say that this one will be a BIG ONE like the 7th wave is bigger than the average wave. so the electromagnetic disturbance and fields created WILL be bigger than the last big one (1987?) that tripped the breakers, and caused the domino effect on your Eastern seaboard. My assumption is that the cost to apply protection and isolation probably means that not a lot of drastic modifications have been made since then. Please excuse my disjointed way of writing, I hope that some of this stuff is of use to you. I am the kind of person who likes to work in a team, and the more information we have, the better we will be prepared for an Emergency situation when it will inevitably occur. All the best Ron L.
I've been out looking into the Solar activity subject as it relates to the power grid. Here is the best official information that I have found so far. Solar Predictions that predict a large amount of Activity for 2010-11. With this activity come GIC's that can affect our transformers and relays big time. Government awareness that the Grid is vulnerable. Not sure what's being done about it? This is one article that demands a reread !! How Long Do We Have? can vote themselves generous gifts from the public treasury." "The average age of the world's greatest civilizations from the beginning of history , has been about 200 years." Professor Olson adds: "In aggregate, the map of the territory Bush won was mostly the land own ed by the taxpaying citizens of this great country. Gore's territory mostly encompassed those citizens living in government-owned tenements and living off various forms of government welfare..."
and apathy" phase of Professor Tyler's definition of democracy, with some forty percent of the nation's population already having reached the "governmental dependency" phase. Pass this along to help everyone realize just how much is at stake, knowing that apathy is the greatest danger to our freedom. How would a blackout affect you? All the utilities would stop working.. No water, sewage treatment, phones, gas, etc. The diesel and gasoline supplies would dry up quickly. No more food would be delivered to your local grocery. Actually, no more "anything" would be delivered anywhere unless it was by horse & wagon. If you live in a high rise building, you would have to walk up and down the stairs. The hospitals would be shut down. Communications would be cut off completely. 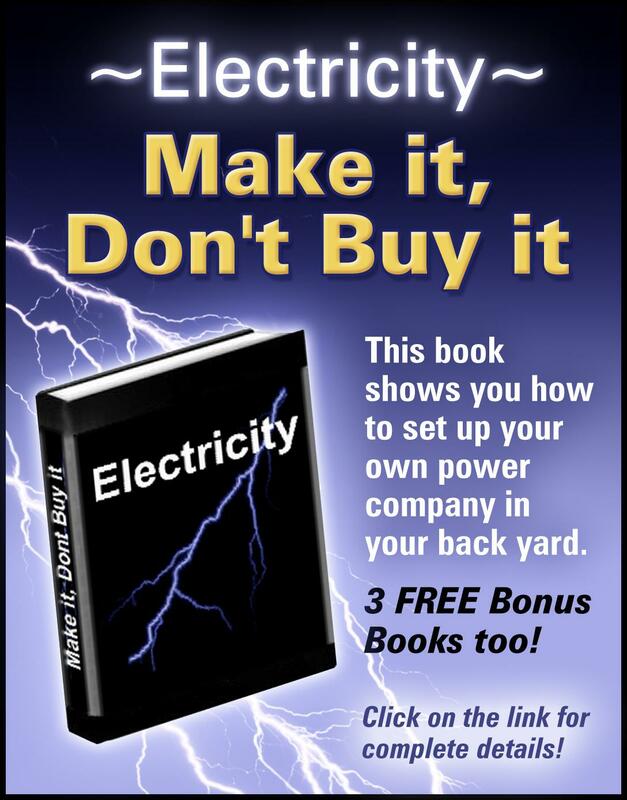 Be prepared to generate your own electricity. Remember, solar panels may be damaged by this extreme solar activity so the method outlined in "Electricity - Make it, Don't Buy it" using biodiesel as a fuel would be the best way. Start gardening. Organic gardening to be more precise... petroleum based fertilizers, herbacides, and pesticides will be in very short supply. Click here to get 9 gardening books for $29.95! Learn some canning and other preserving techniques. Start growing an oil seed crop also. Learn how to press your oilseed crop to make your own oil. Then learn how to make biodiesel or burn straight vegetable oil (SVO) if you have to. 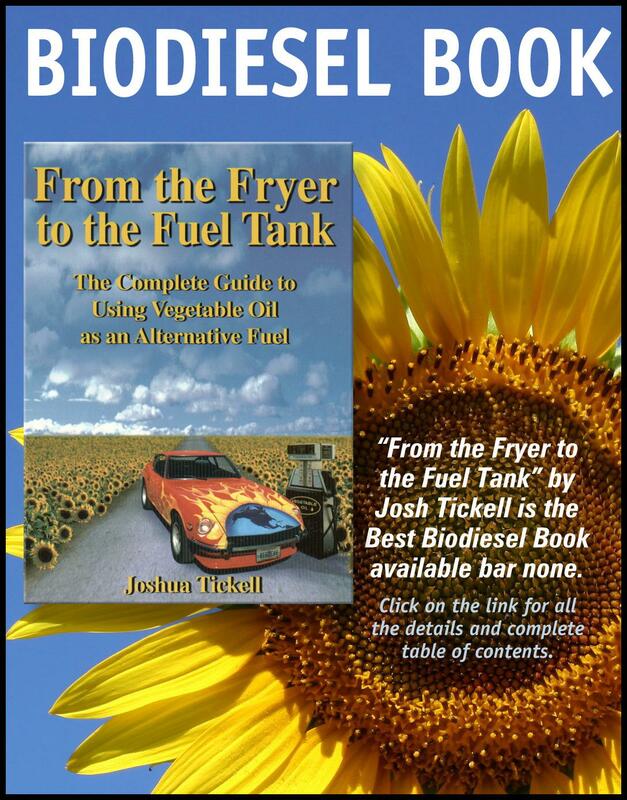 The best book on biodiesel is "From the Fryer to the Fuel Tank". Money saving tip... at the "Electricity - Make it, Don't Buy it" web page, you will have the option to buy both the electricity book and biodiesel book at a substantial discount. You will see the special offer ONLY after clicking on the "BUY" link. Dig a good well or be prepared with some other good source of fresh water. Have your own septic tank - the public sewage system will not be working. Learn how to become "self-sufficient" and "sustainable". Self-sufficient means that your everyday needs are provided by your own efforts, your own knowledge, and your own environment. Sustainable means that you can be self-sufficient indefinitely - your resources are renewable. If you live in a cold climate, be prepared to generate your own heat. Your life may depend on it. A good wood stove would do the trick. There are many other things you can do to survive a crisis like this including raising livestock, hunting, fishing, using solar energy to heat and cook with, etc.